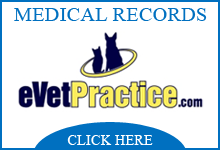 The use of Adipose Stem Cells can help a patient with severe allergies in Veterinary Medicine. Take Mr. Moore for example. Moore has been suffering from severe allergies all his life. Kindred-Canines In Motion (KIM) Veterinarian, Dr. Joyce Gerardi obtained Moore’s Stem Cells during a short abdominal surgical procedure in order to collect his adipose tissue (otherwise known as fat) in June 2013. Moore’s stem cells along with other regenerative cells within his own bloodstream known as Platelet Rich Plasma (PRP) were processed and injected intravenously. Moore was given an iv treatment of his own Adipose Stem Cells every 30 days for 3 subsequent treatments. KIM has experienced first-hand the benefits of Adipose Stem Cells. Just look at how beautiful Moore’s skin looks only 90 days after his last treatment. His coat is very healthy and shiny but most of all Moore has gone from a severe itch scale of 10(+)/10 down to a 1-2/10. To see more of Kindred-Canines In Motion’s success stories about Stem Cell Therapy for Animals please click here. PreviousPrevious post:Elbow Arthritis in an Assistance AnimalNextNext post:Vote for the HomeAgain Hero of the Year! PAWsitively Terrific Finalist! 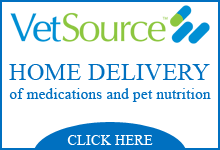 You will be directed to our affiliate Kindred-Canines In Motion pharmacy to order medications approved by the Veterinarians of KIM and or SIVC. Copyright © 2018 Synergy Integrative Veterinary Clinic. All Rights Reserved.